It’s always an exciting time when you can welcome a new child into the family. Ensuring your new baby is up to date on his/her shots is vitally important for your baby’s health and the public at large. April 21st begins National Infant Immunization Week, a week designed to increase and promote the benefits of early childhood vaccinations and the positive impacts immunization has had on the lives of infants and children. Q: Why are infant vaccinations important? A: Thanks to immunizations, we’re now able to protect infants and children from a number of vaccine-preventable diseases before the age two. Some diseases that once injured or killed thousands of children have been eliminated completely and others are close to being gone – primarily due to safe and effective vaccines. For example, polio was once one of the most-feared diseases in the United States. Today, thanks to vaccination, there have been no reports of polio in the United States. Q: What sort of impact do immunizations have on public health? A: The Centers for Disease Control and Prevention report that routine vaccines can prevent an estimated 381 million illnesses, more than 24 million hospital visits, and 855,000 early deaths over the course of their lifetimes. Vaccinations also mean fewer missed work days and school days. If a child gets a disease that could have been prevented by a vaccine, they may have to miss school or day care for several days or weeks, and a parent having to stay home to care for their sick child can burden a family financially. Q: Are vaccines safe for my young child? A: The United States has the safest vaccine supply in its history. Before an immunization can be approved and used on children, it is tested extensively by scientists and medical professionals. 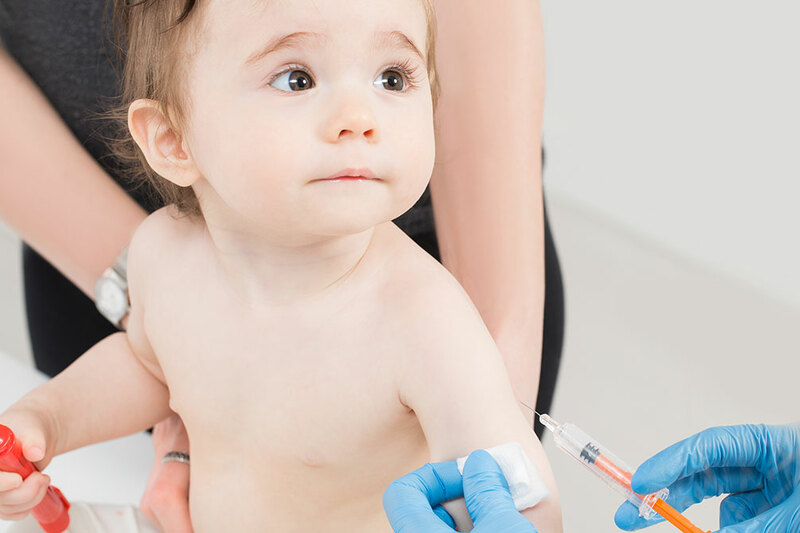 They evaluate information about the vaccine to determine its success rate and safety, and vaccine recommendations are updated as new information from the scientific and medical communities become available. Q: How can I find out if my infant is up to date, and what shots might he/she need? A: Your child’s pediatrician or family physician can provide you with a timeline of vaccinations he/she needs, based on his/her age. Your child’s provider is a great resource for you to ensure your child is protected from a variety of serious childhood illnesses and can alert you to any immunization updates. In addition, you can also find vaccine information for your child from the PA Department of Health. If your child needs a pediatrician, reach out to our team at Sadler Health. We provide comprehensive primary and preventative health services, including annual and routine checkups for all members of your family, including infants, toddlers and adolescents. We can also provide education and guidance on related children’s health issues. Call Sadler Health to schedule an appointment at 717-218-6670.